USMC FITNESS BOOT CAMP is an outdoor, Marine Corps style, boot camp fitness program for ANYONE at any fitness level. Anyone means YOU, recruit! The members of USMC FITNESS BOOT CAMP come from every walk of life, every fitness level, and every size and shape! We’ve got couch potatoes to conditioned athletes! And about 65% of recruits are women! So there's NO excuse! YOU can do this!!! The workouts are patterned after the same fitness program used by the United States Marine Corps' Recruit Training at Parris Island, SC. You'll do exercises like what you'd expect: push ups, sit ups, side-straddle hops and lots of brand new exercises that you'll learn! What if you haven't done a push up since you were in high school? No problem. You'll pace yourself and do as much as you can while we're doing these exercises. No one will talk bad about your momma or call you a maggot! You'll also do calorie/fat burning cardio workouts that will help you lose more weight in less time! Sgt. Tony holds two master’s degrees, sports management certification from Notre Dame, and is working on a PhD in Health Sciences. He is a former high school teacher, varsity sports coach, and Tennessee Secondary School Athletic Association Athletic Director. Sergeant Tony formerly taught this course through the Continuing Education Department of the University of Memphis. Sgt. Tony is an avid runner, having finished countless 5K's, 10K's, more than 43 half marathons, 18 marathons -- including the New York City Marathon, The Marine Corps Marathon, and The Goofy Challenge (2009 & 2013) - where participants run a half marathon on Saturday and then a full marathon the next day). And he's participated in 8 adventure races. Sgt. Tony is also a triathlete and has completed over 125 short distance triathlons since 1980, including the Orlando Ironman Triathlon 70.3. In addition to training thousands of boot campers since 1999, Tony has trained over 400 runners to run half marathons and full marathons. 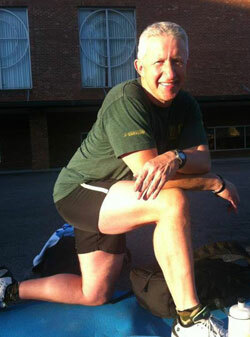 He's also trained more than 50 people to complete their first triathlon! When he's not lifting, running, swimming, cycling, or jumping, Tony enjoys playing tennis and is a USTA rated player. ABOUT ASHLEY HOLLOWAY, M.S., R.D., L.D.N. USMC FITNESS BOOT CAMP's staff dietitian, Ashley Holloway, is a Registered Dietitian and a Tennessee Licensed Dietitian / Nutritionist with a Certificate of Training in Adult Weight Management. Ashley is a graduate of San Diego State University with a degree in Food and Nutritional Sciences and took graduate classes and completed her dietetic internship at the University of Tennessee at Martin. She is a member of the Academy of Nutrition and Dietetics, the Tennessee chapter, and has served as the Nominating Committee Chair and has served as the Media Representative with the Memphis Academy of Nutrition and Dietetics. Ashley recently earned a Master's Degree from the University of Arkansas. Ashley is regularly featured on the local news, in magazines, and in newspapers. 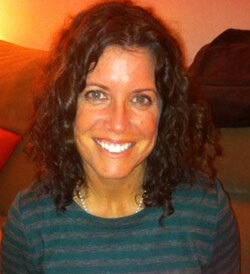 She is the sports nutrition writer for the Memphis Runner's Track Club Roadrunner Magazine. Ashley is a much sought after speaker and consultant. Ashley was a featured speaker at the National Road Runners Club of America in 2012. Ashley is a USMC Fitness Boot Camper and is an accomplished runner, cyclist, and triathlete. She's completed races from every popular distance, from 5K to full marathon. Most recently she completed The Goofy Challenge 2013 in Orlando, FL- where participants run a half marathon on Saturday and then a full marathon the next day, covering 39.3 miles in two days! In 2013 Ashley rode the MS 150 bicycling event, a 150 mile fund raiser for the Multiple Sclerosis Society. Ashley is a certified running coach and yoga instructor. In December 2013, Ashley donated a kidney to a complete stranger! On Wednesdays, Ashley shares a nutrition moment with boot campers addressing current hot nutrition topics, debunking the latest fad diets, and giving cutting edge nutrition advice on maintaining and building muscle mass." Executive Officer and assistant Fitness instructor since 2003. There is no obligation to continue beyond your Recruit Month. After the Recruit Month, you may re-enlist month by month or take advantage of our multiple month discounts. We have 15 classes weekly and you can attend them all, no extra charge! You join "the program" and not just one class so you get unlimited access! For the first month, the Recruit Month, two people can join for the price of one. Standard individual pricing applies after the Recruit Month. Other special discounts offered from time to time. Simply show up! You can pay in person or online!